Hybrid willows (Salix hybrids) are a cross between two or more species of willow trees. The majority of these hybrids grow as upright trees rather than the weeping or shrub form of some of the true species of Salix. While willow hybrids may be fast-growing, they do have some downfalls that are true for all willow trees, whether hybrids or species. Willow hybrids can be a cross of just two species of willow, or they can be a result of several crosses. Some hybrids are named and trademarked, such as the "Austree," (which is a cross between Salix matsudana and S. alba, according to Iowa State University) and "Skyrise," which are bred to be sterile (all are male). Many are simply sold as "willow hybrids," whose specific origins remain unknown. Willow hybrids grow at an astonishing rate. Some can grow more than 15 feet per year, according to Iowa State University, although that can vary depending on the specific hybrid. True species of willows average around 4 feet of growth per year, which is still fast for a tree or bush. Willow hybrids have the same cultural needs as the true species. These trees thrive in very wet, rich soil, according to Kansas State University. Willows prefer locations exposed to a full day's sunlight and with little competition from other plants. Keep the soil around your willow hybrid moist and free of weeds for optimum growth. Hybrid willows, due to their fast growth in both height and girth and ability to tolerate severe pruning, make excellent privacy hedges. They also work well as screens and shade trees. These trees have also been used to control erosion and as dust barriers, according to Advanced Tree Technology. Fast-growing trees in general are prone to weak wood, according to North Dakota State University, and willow hybrids are no exception. These trees are also highly susceptible to a number of insect and pest diseases, including boring insects and fungal diseases that destroy the sapwood of the tree. 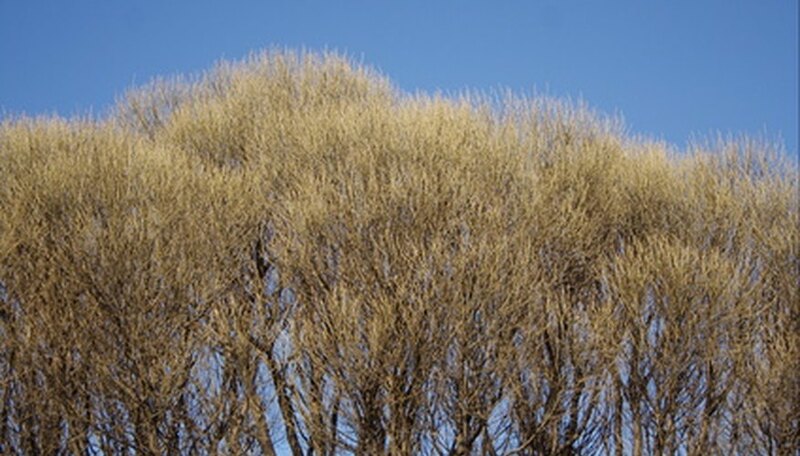 For these reasons, hybrid willows are not considered hardy trees and often have a short life span.